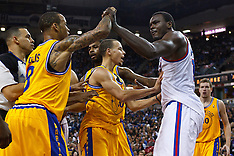 April 10, 2011; Oakland, CA, USA; The Sacramento Kings defeated the Golden State Warriors 104-103 at Oracle Arena. 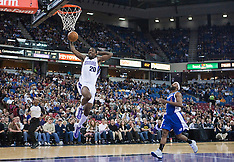 March 18, 2011; Sacramento, CA, USA; The Philadelphia 76ers defeated the Sacramento Kings 102-80 at the Power Balance Pavilion. 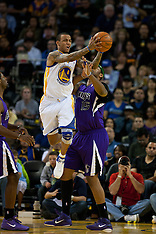 March 14, 2011; Sacramento, CA, USA; The Sacramento Kings defeated the Golden State Warriors 129-119 at the Power Balance Pavilion. 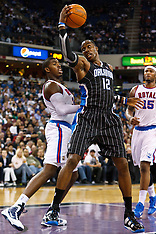 March 9, 2011; Sacramento, CA, USA; The Orlando Magic defeated the Sacramento Kings 106-102 at the Power Balance Pavilion. 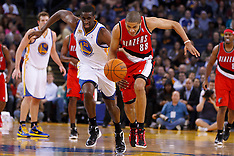 March 7, 2011; Sacramento, CA, USA; The Houston Rockets defeated the Sacramento Kings 123-101 at the Power Balance Pavilion. 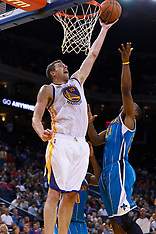 February 25, 2011; Oakland, CA, USA; The Atlanta Hawks defeated the Golden State Warriors 95-79 at Oracle Arena. 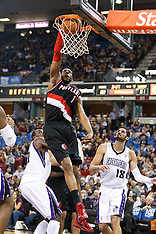 January 19, 2011; Sacramento, CA, USA; The Portland Trail Blazers defeated the Sacramento Kings 94-90 in overtime at ARCO Arena. 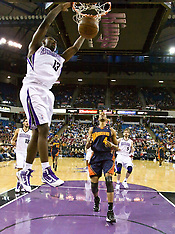 November 1, 2010; Sacramento, CA, USA; The Sacramento Kings defeated the Toronto Raptors 111-108 at ARCO Arena. 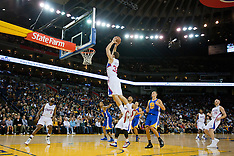 October 29, 2010; Oakland, CA, USA; The Golden State Warriors defeated the Los Angeles Clippers 109-91 at Oracle Arena. 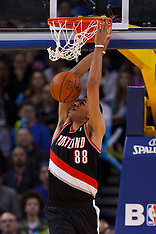 February 28, 2010; Sacramento, CA, USA; The Sacramento Kings defeated the Los Angeles Clippers 97-92 in NBA basketball at the ARCO Arena. 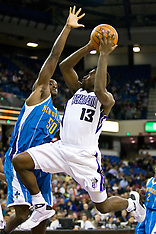 November 29, 2009; Sacramento, CA, USA; The Sacramento Kings defeated the New Orleans Hornets 112-96 in NBA basketball at ARCO Arena. 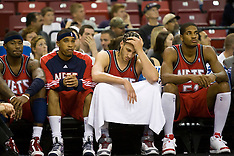 November 27, 2009; Sacramento, CA, USA; The Sacramento Kings defeated the New Jersey Nets 109-96 in NBA basketball at the ARCO Arena. 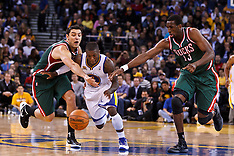 November 8, 2009; Sacramento, CA, USA; The Sacramento Kings defeated the Golden State Warriors 120-107 in NBA Basketball at ARCO Arena. 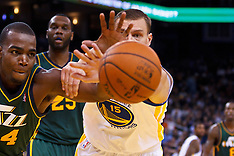 October 23, 2009; Sacramento, CA USA; The Utah Jazz defeated the Sacramento Kings 95-85 in a preseason NBA basketball game at ARCO Arena.